My wife’s email on her iPhone failed today, constantly giving the error message, “Cannot Verify Server Identity.” She had made no changes to her account settings. What to do? Trying to troubleshoot, I read numerous pages offering various solutions to this problem (one that many people have had and that Apple tech support apparently is not familiar with). Solutions included turning WiFi on and off, turning SSL on and off, and more Draconian solutions like deleting and reinstalling the email account and even deleting all settings. We tried a variety of things without success. Thank goodness for terrific customer service at DreamHost.com, the host of her main email accounts. The fix was simply to update the account settings. If your email is on a Dreamhost server, the instructions that worked for us might help you. Email is working fine now! Changing the outgoing server took about 5 minutes to verify. Our service guy said we might need to reboot the phone and do it again, but it was not needed. All is well! Happy wife! Two days ago the most amazing thing happened. I needed to buy a new SIM card for my Apple iPhone 6+, and when I went looking for a local China Mobile (中国移动) store, I saw a competing China Unicom (中国联通) store closer to my office and decided to give it a try for convenience. When I put the China Unicom SIM card in my iPhone, I was shocked and delighted to see that after all these years of suffering, I finally had 4G service. Wow! That means fast access to the Internet and, for example, all the valuable functions WeChat provides (taxi hailing, payments, bus schedules, social media, even video calls). Life just got better. One of my few frustrations in China has been the slow data services on my iPhone. When I need to use the Internet and don’t have local WiFi, I’ve been limited to 2G. Folks at the Apple store here explained that my US iPhone was designed for a different cellular network not compatible with China’s network, so there was no hope of 4G service like everyone else seems to have. But they were wrong. The real problem, as explained by a knowledgeable Taiwanese colleague, was that the provider of my former SIM card, China Mobile, operates over a portion of the cellular spectrum that is incompatible with my iPhone. China Unicom, on the other hand, operates over a different portion of the spectrum, making their network more compatible with US phones. The China Unicom employee smiled as she explained what was apparently well known to her: their service gives me 4G, but China Mobile’s service can’t. Wish I had known this a couple years ago! Even after a supposed updated SIM card was installed in my iPhone courtesy of my employer, the service remained 2G. Why am I changing SIM cards at all? My employer is giving me a new company phone, a Samsung model with high security features (VMWare to track employees and make it harder to steal trade secrets, supposedly) that has 4G, and are giving me a new SIM card with that phone while requiring me to return the old SIM card I have been using in my iPhone. 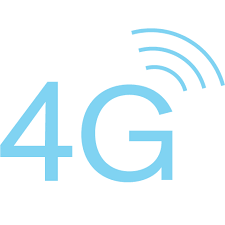 Changing phones is a bit traumatic, but discovering accidentally that I could easily upgrade to 4G just by switching to China Unicom helps make the change more welcome. Thank you, China Unicom! 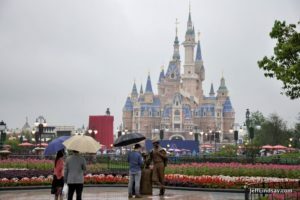 Many visitors to China are surprised to see that credit cards are not widely accepted. 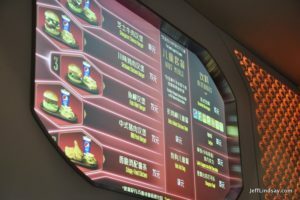 High-end hotels will accept them, certainly, but they might not be accepted at many Chinese hotels. Many restaurants are not able to take Western credit cards. Train tickets, taxis, and numerous other services will refuse them. Simply put, cash is king in China. You really need to have a healthy amount of cash for daily survival. Have a stack of 100 RMB bills and some smaller bills and a few coins. 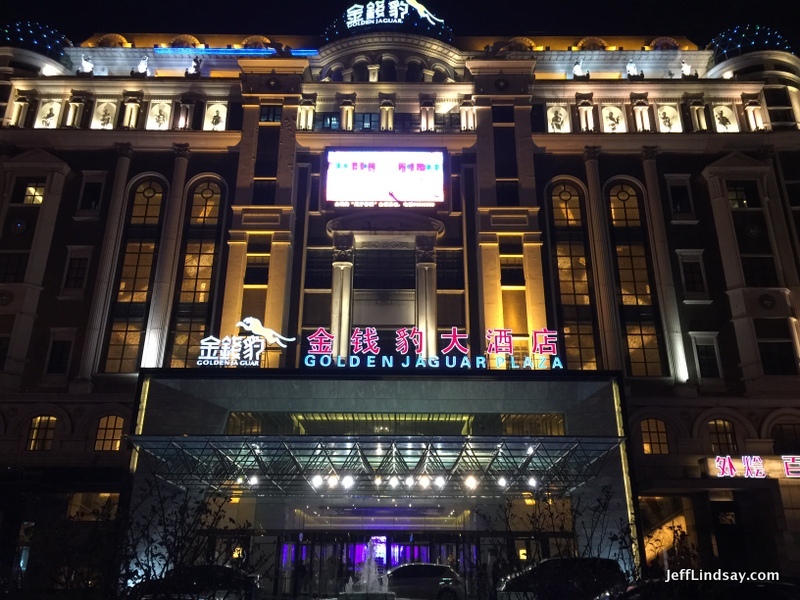 The first time I used a credit card in China was at a Best Western hotel in Shenzhen, near the Hong Kong border. Within 15 minutes after using the card, a spurious charge was made against that number by someone trying to purchase something in California. Our credit card company called to report the problem and our card had to be inactivated. Big hassle. Not everyone has that problem, but in Asia there are many places where credit card numbers will be swiped. They are easier to swipe than the highly secure ATM cards that are commonly used and accepted in China, cards that require a 6-digit password. 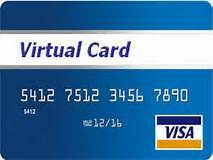 For secure use of a credit card here or anywhere else, a great service offered by some providers is a virtual credit card number. Bank of America, Discover, and Citibank offer this service. With a virtual credit card service such as Bank of America’s ShopSafe system, you can request a one-time or limited time use credit card number with a set maximum amount that can be charged against it. You don’t have to worry about the virtual credit card number being stolen. For example, I just logged into my credit card’s service and requested a virtual credit card number. I specified the amount that could be charged ($30), the date the card would expire (2 months from now), and then received a new card number, CCV code, and expiration date with my name and linked to my credit card. I used this to pay for an annual service that I don’t want to be automatically renewed with a provider who may not have the highest security. I made the payment and don’t have to worry about them charging me over and over or about hackers stealing my card number. It’s worthless now that I’ve made my payment. Virtual credit card numbers can help you add security to your travels and your online life. You will need online access to your account to create them. You can obtain a variety of numbers for different parts of your trip. It’s a terrific advance in credit card security. A friend staying with us today needed to buy a bus ticket for tomorrow to get back to Rugao, a town near Nantong. He wanted to go to a bus station to buy the ticket, but that would have used up a big part of his day. Instead I figured there must be a way to do that online. I asked a Chinese friend and was informed that Ctrip (携程) is a good way to do that. I tried my Ctrip app (now just Trip, tied to Trip.com), but this English only app does not show bus information. 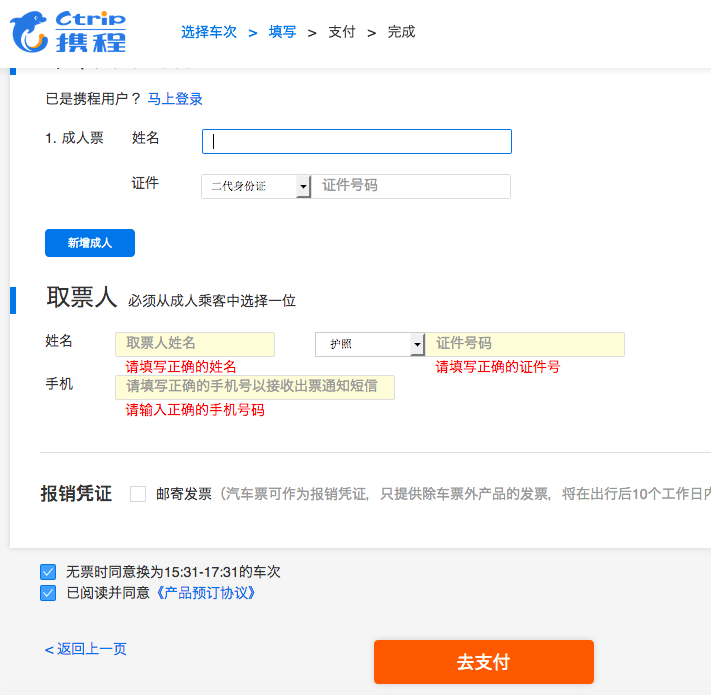 I lauched Ctrip.com on my iPhone and changed the language setting to Chinese, and still had nothing about buses. 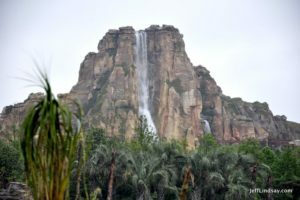 I went to my computer and opened Ctrip.com in English, and still had nothing. 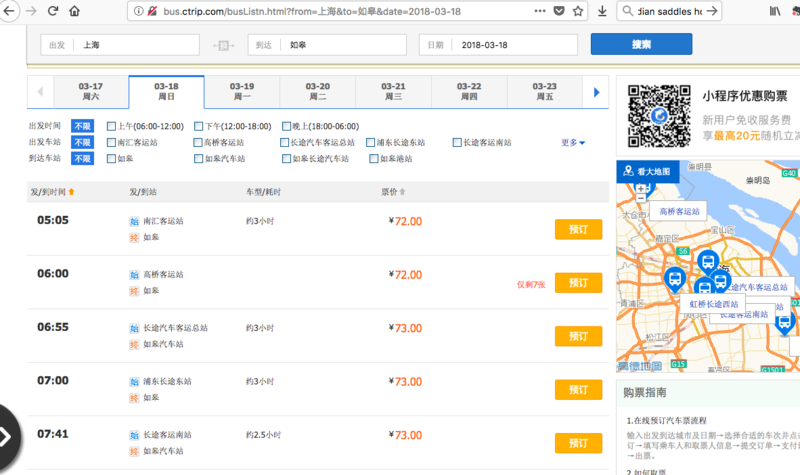 But when I used the Chinese language version of the website, the bus information was plainly available as the menu item “汽车票” (vehicle tickets), which takes you to http://bus.ctrip.com/. 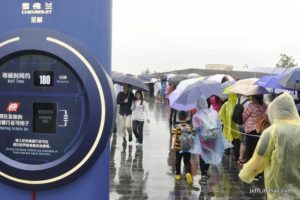 You then enter the departure site, destination, and date (Chinese characters are needed for the locations), click on the orange button, and you’ll see a list of bus trips available for your date. Over on the right, the orange buttons take you to a payment page. 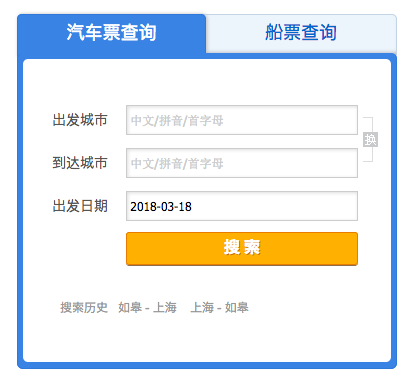 You’ll need to enter your full name as on your passport, passport number (select 护照 = passport), and enter the same information in the second area for the person who will pick up the ticket (typically you), along with the phone number (手机). If the ticket is for someone without a phone, enter the phone of someone who can be in touch with the person to verify the ticket. I entered my phone for this traveler without a Chinese phone number (but he has WeChat) and will let you know if this fails tomorrow. Fingers crossed. Then click on the big orange button below to pay using WeChat. You’ll get a 2D code you can scan to bring up WeChat payment. Pay for the ticket and the person can then pick it up at the bus station. Make sure you give them the images of the ticket info, receipt, etc. In my case, I sent him screenshots of the payment confirmation, then clicked on ticket information to get the ticket sales number (取票好) and order number (取票订单号) in another screen shot. If all goes well, my friend will be on a bus tomorrow to Rugao. If not, it’s a long walk. I’ll let you know. If you know of other ways to order long-distance bus tickets online, let me know. This seemed pretty easy and the fee was low (3 RMB for a 73 RMB ticket). Americans in Shanghai naturally want to celebrate Thanksgiving with some traditional foods, and that means turkey–a rarity in China. It just isn’t popular with the locals and that means there aren’t a lot of turkey producers. This keeps the price high. People pay about 700 RMB or more (roughly $100) for a turkey weighing around 12-15 pounds. Ouch! It would be OK if turkey were the most delicious food ever, but it tends to be dry and boring. Isn’t it time to consider a nice rotisserie chicken or the delicious Shanghai-style roast duck you can buy for about 40 RMB each? If you must get a turkey, the best price I am aware of is at Carrefour, where you can get a big frozen turkey for about 450 RMB. We had to buy one today for a Thansgiving party we had, where some of our American guests just wouldn’t be happy with fresh, delicious chicken or duck. At the Gubei Carrefour where we shopped, they are in the meats section close to the end of the check out lanes) in a frozen foods case with a glass door, against a wall. Easy to miss, but there were plenty in stock today. 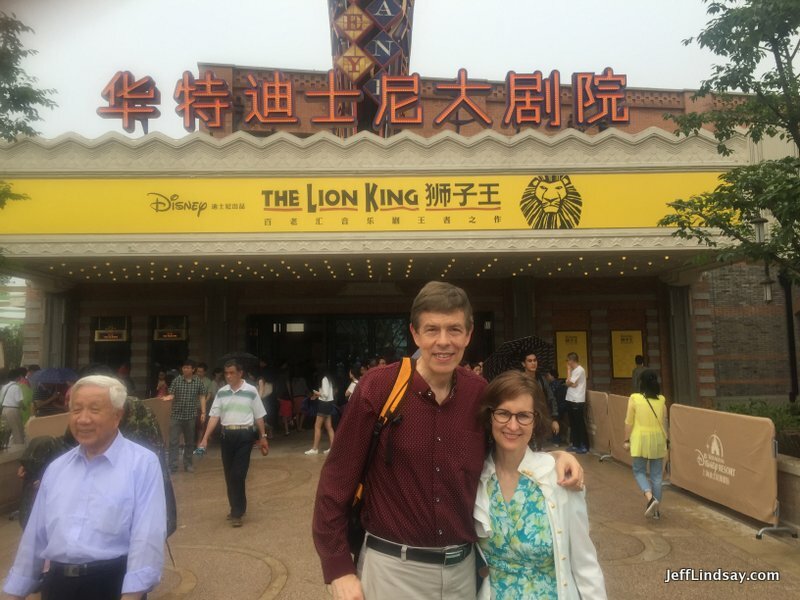 The Chinese version of the Broadway hit, The Lion King, was one of best performances I’ve seen. 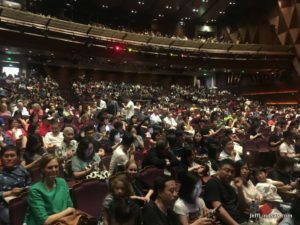 Spectacular, beautiful, wonderful to watch, even for those who don’t speak Mandarin, the language it is performed in at the beautiful theater in Disney Town at Shanghai Disney Resort. 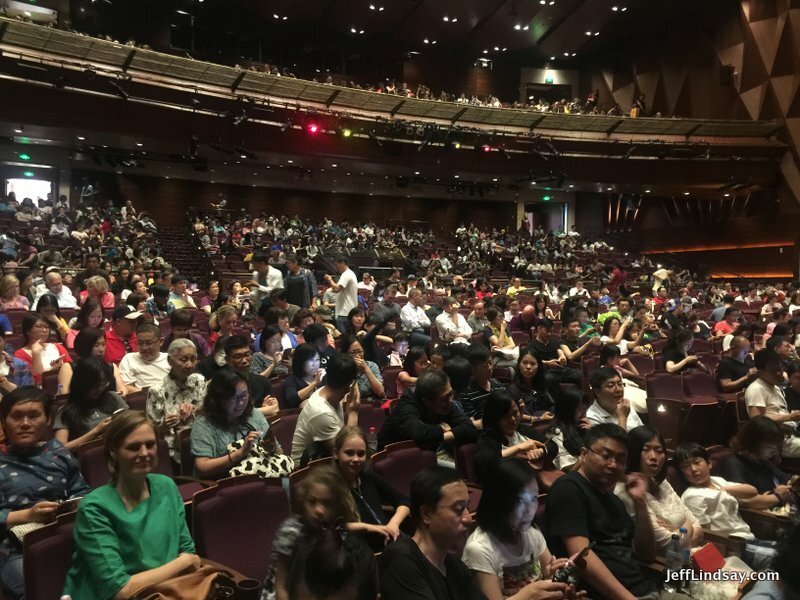 We attended a matinee performance on June 11, a few days before the official opening. There were no serious rough edges that we could see. The cast was wonderful, though a few voices weren’t as strong as one might encounter on Broadway. I was particularly delighted with the costumes, which were brilliant, clever, beautiful, and fascinating to watch. Special effects were also nicely done. Dramatic, fun, well choreographed, just a lot of fun. I really like the uniquely Chinese elements that were added such as the appearance of the Chinese Monkey King a couple of times. I understand one of the songs was added also for the Chinese production, though I’m unclear on that. The Disney Town theater is spacious and comfortable, and I think seats about 1500 people. 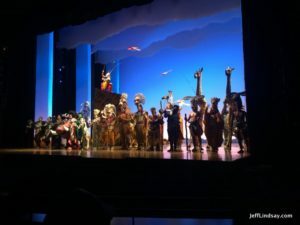 If you are coming to Shanghai, attending The Lion King might be one of the big attractions you should plan for. 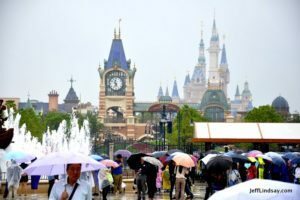 Note, however, that going there by taxi can be rough since many cabbies don’t know the area yet and since the Shanghai Disney Resort Website is surprisingly deficient in basic information on how to get there. There is no map or address given! There is a chat function for help, so I tried in many ways to squeeze information out of the chat service, but they insisted that there was nothing to worry about, that you just had to say “Disney” to cabbies and they would know where to go, which proved to be completely wrong for our friends who tried to meet us early at the theater to get their tickets. I eventually got an address from the chat service–actually 3 addresses, which confused things further, but none of them were helpful to the cabbie and my friends, came within a couple minutes of missing the opening of the performance. As of today, June 23, 2016, the website still lacks an address for those coming by taxi. Huh? I tried about several times to ask the chat service person to let the webmaster know this needed to be added, and just got the delusional “no worries, there is no problem, cabbies will know how to get there” response. Disney, wake up! You are not the Middle Kingdom in the center of the world where everyone knows your location. You are in an obscure remote corner of the outskirts of Shanghai and people don’t know how to drive there. 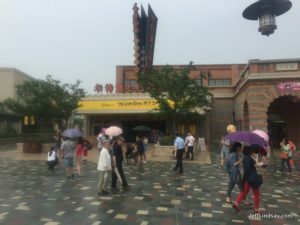 Here are some photos of the theater. 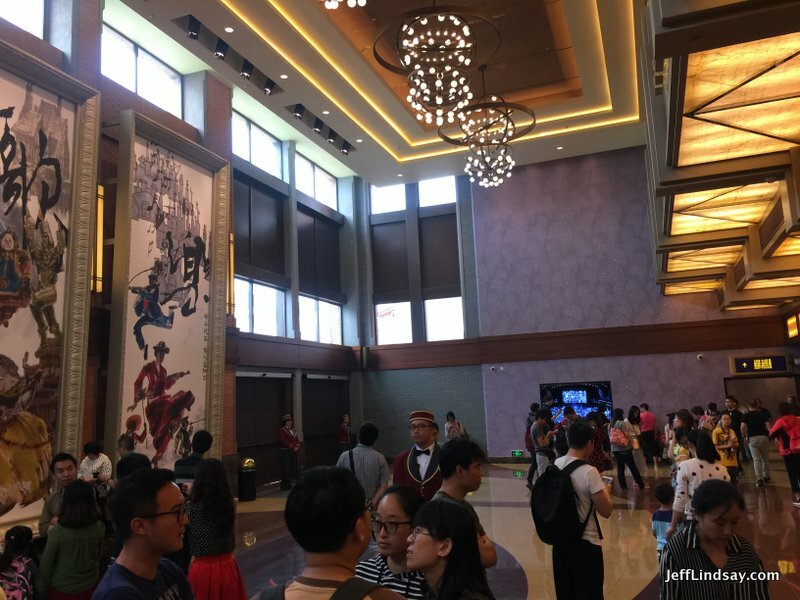 Inside the lobby of the Disney Town Theater. Outside the theater with my wife. Looks like a sold-out performance at the matinee. Another view of the theater. Before or after the show, enjoy a meal at one of the many good restaurants in Disney Town. This is a fun place that doesn’t require a ticket to get in. 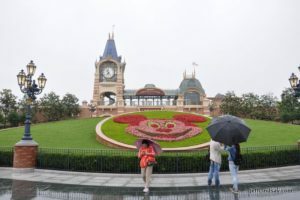 Just stroll from the subway (Line 11, Disney station) to Disney Town and enjoy the beautiful surroundings. 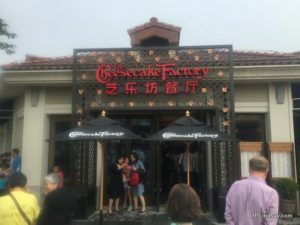 The restaurants include some of China’s most popular higher-end places like Shanghai Min (wonderful Shanghai-style food, one of my favorite places), The Dining Place (fairly inexpensive dim sum and Shanghai fair), Element Fresh, Simply Thai, and many others. We tried a tremendously popular US restaurant that is the first of its kind in China, the Cheesecake Factory. We were very impressed. 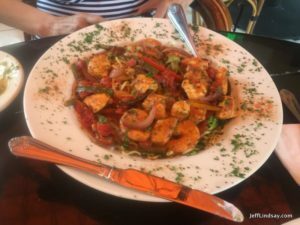 They have a menu just like the typical menus in the States, with strong leadership from the States here to train the staff and ensure high quality service and food preparation. 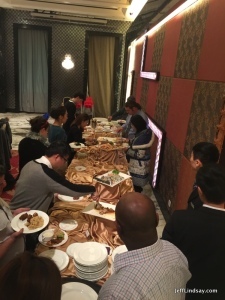 Food was delicious though pricey for Chinese standards, but portions were also huge, maybe twice the size we are used to in China, so for us a single dish shared would have been enough, coupled with the appetizers were bought. 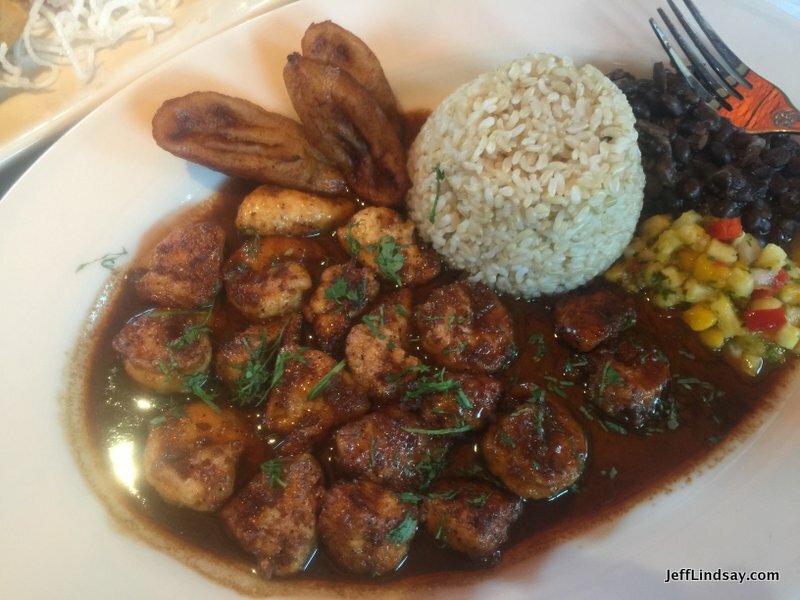 I had Jamaican chicken and shrimp, and it was so flavorful and tender. The guacamole was surprisingly good, almost perfect. 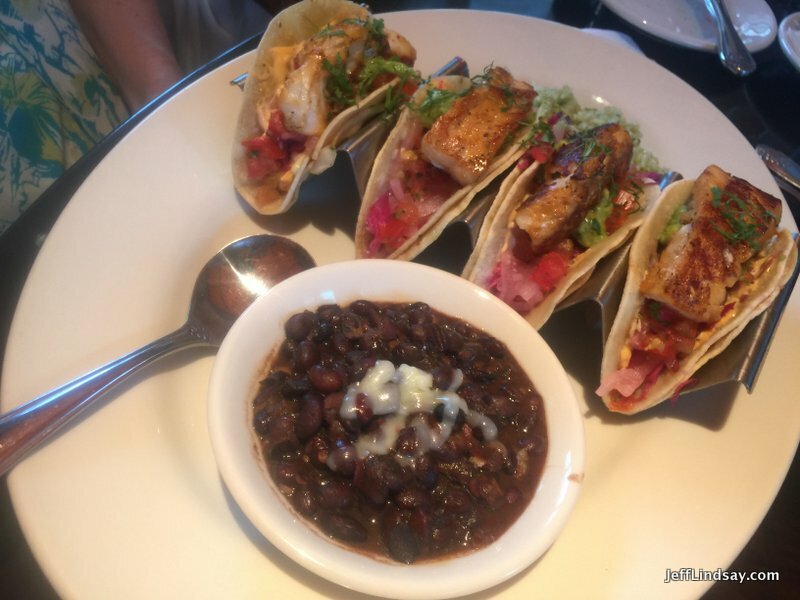 A slight disappointment was that the fish tacos were almost cold by the time they came to the table. Looks like they try to bring all the food at once, which means uneven wait times for some dishes. 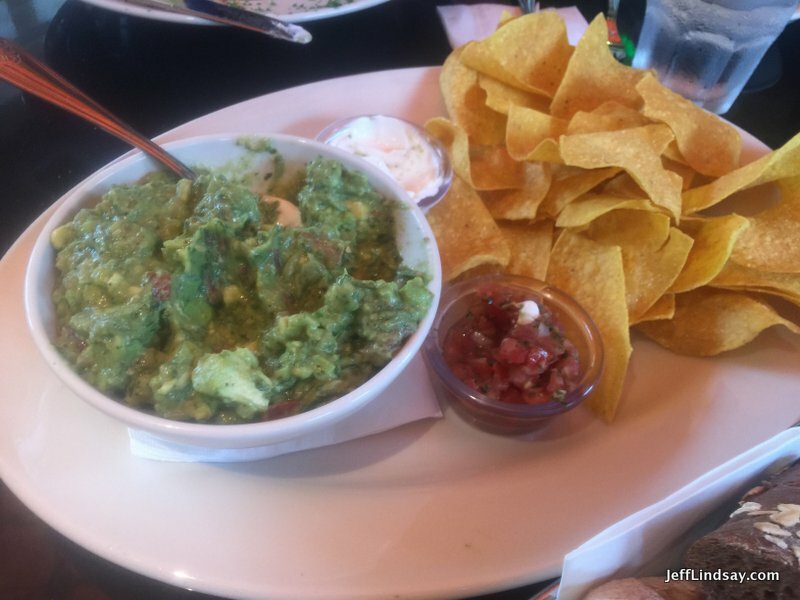 Ask to have food brought hot as soon as each dish is ready. More work for the sometimes overwhelmed staff at this hugely popular place, but you deserve your food fresh and hot. 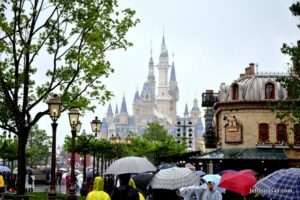 China is buzzing about the new Shanghai Disney Resort in the southern end of sprawling Shanghai. On Saturday, May 28, 2016, my wife and I were kindly invited to attend a “soft opening” event at Disney, about two weeks before the official start date. 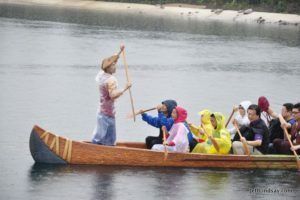 Even though it was a rainy day, there were MANY people there. 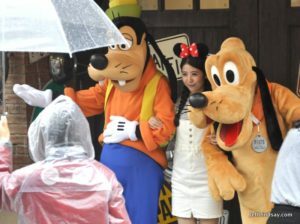 We were accompanied by about 40,000 other lucky people, creating lines as long as 5 hours (as in FIVE HOURS!!!). This was with about 70% of the rides open, so when in full operation, there will be more lines to divert the crowds, but the crowds could be even bigger. 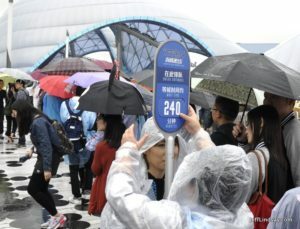 During regular operation, even bigger crowds are expected, perhaps as high as 70,000 or so. Wow. 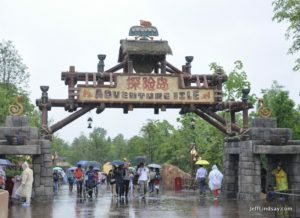 This was a “stress test” day since other days of the soft opening had been limited to about half as many people. It was wonderful to be there, but there was plenty of stress. 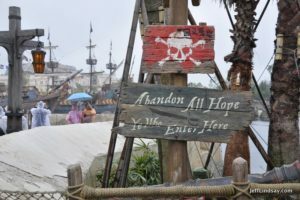 Our favorite ride of the day, by far, was Pirates of the Caribbean. Of course, to be fair, I should point out that it was our ONLY ride of the day. We tried to get through the Tron ride, twice actually, but gave up even though we had managed to obtain a fast pass ticket for our second attempt (with the help of a kind friend) and were just minutes away from entering. But then there was a mechanical problem that shut the ride down before we could go on it (I later learned that an employee foolishly opened a door that could have let someone walk onto the track, and the interlock safety system shut the ride down for safety reasons until they could troubleshoot the problem), and we were out of time. We had to leave early for a dinner event, unfortunately. One day, one ride–but it was still a great day. If you go, don’t make our mistake of attempting to get fast food in one of the big eateries. That wasted an hour and a lot of money, and we ended up walking away from our food, largely uneaten. Ugh. Bring you own. But Remy’s Patisserie was excellent and fast, with perfect spinach quiche. Try that, perhaps, but now the hamburger joint near Tron. Ugly lines, very slow, and lots of craziness. Prepare for Disney by using the fast pass system and by making online reservations. Do your homework first! Then enjoy. Please don’t stand in any line over 3 hours long! Life is too short. Abandon all hope . . . a fitting sign for busy days when lines can be 5 hours long. The spacious main floor of the Disney subway station at the end of Line 11. 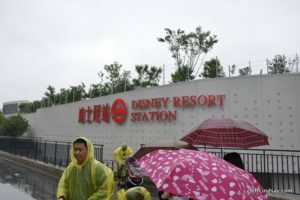 Just outside the Disney subway terminal. The magical castle beckons us. In the Western-style eatery near Tron, the lines were ugly, and so was the food. Frightening menu, scary prices, and disappointing food. But I am biased against hamburgers and very greasy stuff. 240, as in 240 minutes in this line, if you have the patience to reach this point. Line management was a big problem. Hope they solve that problem soon! 180 minutes (3 hours!) was the wait for the Tron ride. We never made it. One problem with Tron is woefully inadequate storage for bags and belongings that you can’t take on the ride. So few lockers! It was a major hassle. Forces people to have someone wait and hold belongings while others ride. Time is money, says the vault. And the Walt! Walt might take plenty of both from you, but you’ll love it for the most part. Last view of Disney as we left. On October 15, 2015, Appleton, Wisconsin’s Paper Industry International Hall of Fame will be inducting six new figures into the hall of fame. One of them is a historical figure from China who can be considered China’s answer to Gutenberg. Gutenberg is frequently cited in the West as one of the most important inventors of all time for giving us the world’s first book printed with movable type, a remarkable achievement from around 1455. As with many inventions long thought to have had European origins, there’s a touch of Eastern flavor in this one, for Gutenberg’s Bible came 142 years after the world’s first mass-produced printed book made with movable type, the large Book of Farming (Nong Shu) from China, printed in 1313 by Wang Zhen. Wang Zhen was a Chinese official who recognized that vast amounts of agricultural technology scattered across China needed to be preserved to help all of China reduce famine and be more productive. He took a Chinese invention, movable type, and improved upon it to make a practical way to print an entire book. He used carved wooden blocks for each character, and developed a sophisticated way of arranging them on two rotating tables to allow typesetters to quickly find needed characters to place them in his press. The Nong Shu was printed and preserved many notable inventions in China, including an early form of a blast furnace driven with a reciprocating piston attached to water works, something long that to be a later European invention. Recognizing Wang Zhen for his important role in the advance of printing is a fitting step for the Hall of Fame, and I look forward to many more Asian inventors, scientists, and business leaders being recognized in the Hall of Fame in future years. The historical contributions of China in numerous fields have received far too little attention, and I’m delighted to see folks in Appleton taking the lead in rectifying this problem. Kudos to the Paper Industry International Hall of Fame! 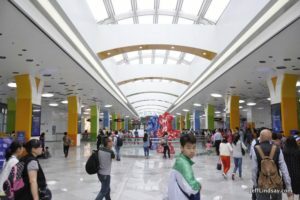 Many expatriates living in China receive housing stipends that cover at least part of the monthly cost of rental here. In expensive cities like Shanghai, getting your housing stipend can be essential. 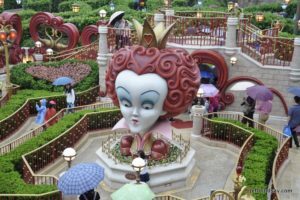 Your reimbursement, though, requires that you provide a “fapiao” (official receipt from the government) which shows that taxes have been paid. The tax rate right now is 5%, so your fapiao of, say, 8,000 RMB costs your landlord 400 RMB. Your employer then uses the fapiao for some kind of tax benefits in reimbursing you. If you don’t provide a proper fapiao, you generally won’t get your housing stipend. A few things can go wrong on this process. Make sure you know exactly what name your company requires to be on the fapiao. For me, it has to be the proper legal name of my company, not my name and not other commonly used versions of my employer’s name. One time my landlord bought several months’ worth of fapiaos all at once, but used the corporate name I pointed to on my business card instead of the official legal name, and I ended up having to pay for new fapiaos out of my pocket. In that process, though, I learned that getting fapiaos involves going to a local tax office, showing your rental agreement and your passport, and then simply paying 5% of your rent to buy the fapiao. Also make sure you get fapiaos by the month. Your company will generally want one for each month, not one for three months at a time, even if you pay your rent once every three months as I do. A more troubling problem you may encounter is fake fapiaos. Fake receipts? Yep, it happens, and is an easy way for an unscrupulous person to make some quick money. This may happen when a real estate agent, after closing the deal for your apartment, offers to save the landlord the trouble of getting fapiaos. The agent may have a friend allegedly at the tax bureau who can help you get the fapiaos easily. If the agent doesn’t need a copy of your rental agreement, that’s a clear sign that something is wrong. I don’t know if the seemingly official fapiaos are printed on stolen receipt paper from government offices or are just really good forgeries, but they look like the real thing and businesses may accept them and reimburse you, but if there is an audit or careful investigation, they may discover that the fapiaos are fake and you may then be denied your reimbursement. For Shanghai folks, you can check to see if your fapiao is real or not using a government website [this is now an archived page — check with Chinese friends for the latest link]. It’s in Chinese, so you may need help doing this. If you are getting fake fapiaos, let your landlord know. It can hurt their credit and their reputation with the government. It may end up hurting you. The crooks who are stealing your money (and stealing tax money from China) with fake fapiaos need to be stopped. Of course, your agent or whoever gave you the fake fapiaos will be shocked that their friend in the tax office made some kind of error. Maybe they knew, maybe they didn’t, and maybe it was all an innocent mistake, but given the easy money to be made, chances are someone is just pocketing the money, and not pocketing it accidentally. Unfortunately, one acquaintance of ours says that she got fake fapiaos by going to the fapiao office her business told her to use. I think this was an official fapiao office but I need to confirm that. Whether it was an accident or intentional theft, you need to recognize that there is a possibility that the fapiao you get is fake. Check to make sure they are legit, and try not to get too many months of fapiaos all at once in case there is a problem with them. Golden Jaguar is a well-known chain offering a large buffet. Unfortunately, after the disturbingly poor experience a large group of us encountered there recently, I won’t be going back. 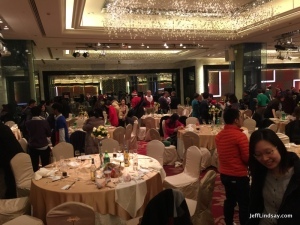 A group of about 200 or so people made reservations for a special dinner there. 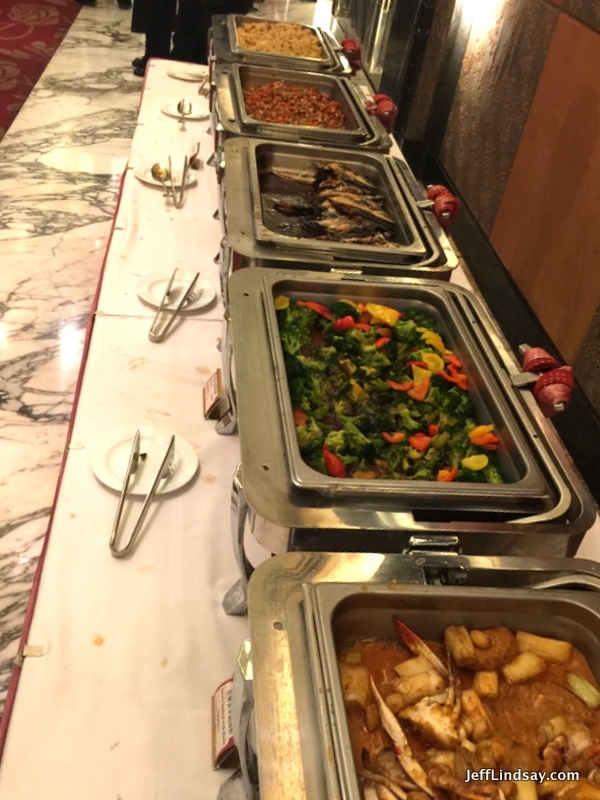 Some who had been to Golden Jaguar before were really looking forward to the buffet with numerous tasty items. 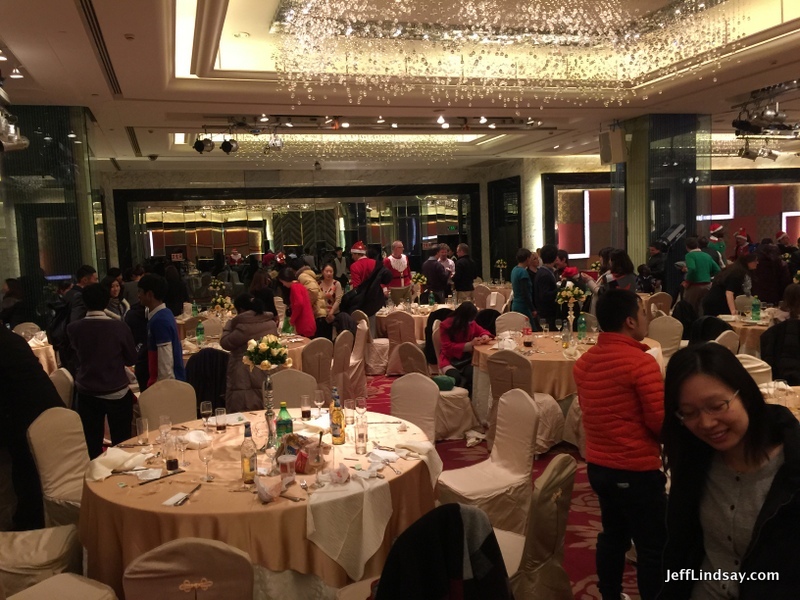 We paid 200 RMB per person, apparently a little more than the normal buffet rate in the main area on the first floor. They put our large group on the sixth floor to give us a big room of our own, pretty much the whole floor, but they wouldn’t let us go down to the first floor to access the good stuff. Instead, they brought in a few large bins of very ordinary, uninteresting food. 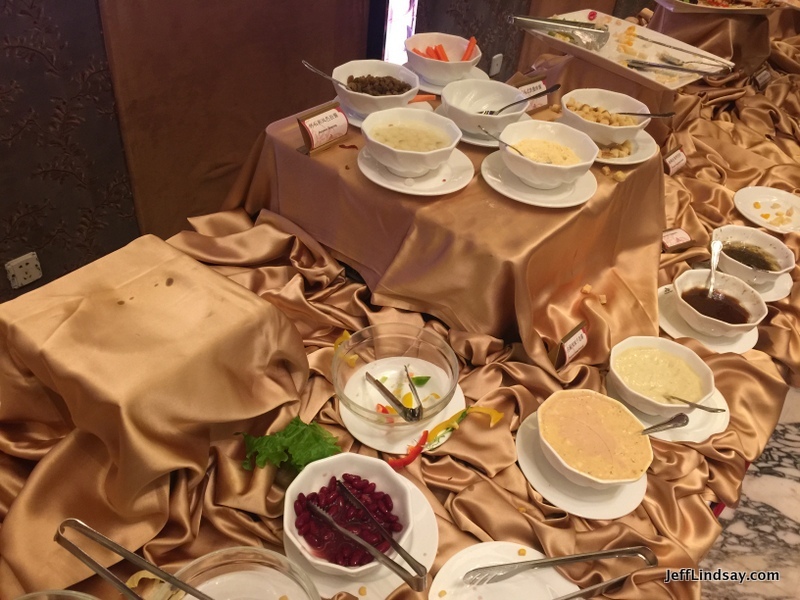 It was actually the buffet in China that I can remember where I left hungry because there was so little worth eating, and so little of what looked good. One girl at our table looked really depressed. I asked what was wrong and found out that she had been to the main buffet on the first floor with numerous delicious items and had really been looking forward to a special evening here, but now was gravely disappointed with the low-quality food being brought to us. I asked the floor manager if she could be allowed to go down to the first floor and get some real food. He gave us some story about how we had a special rate for the room and this did not include access to the first floor. Sigh. The food they brought came in a few large bins that were often empty. It was usually cold, with no devices to keep anything warm. What surprised me was how inept their system was for providing the food. 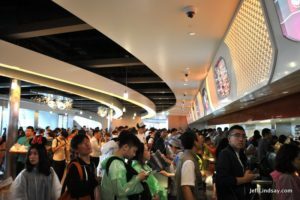 For over 200 people, the food was presented on a single line of tables and they only allowed people to queue up in a single line on one side. This resulted in a ridiculously slow line, complicated by the fact that the bins they brought were too small and quickly depleted, at which point people in the line often just stood and waited until a refill eventually came, making it all the more insufferable. The fish was cheap, unpalatable sardines or saury. 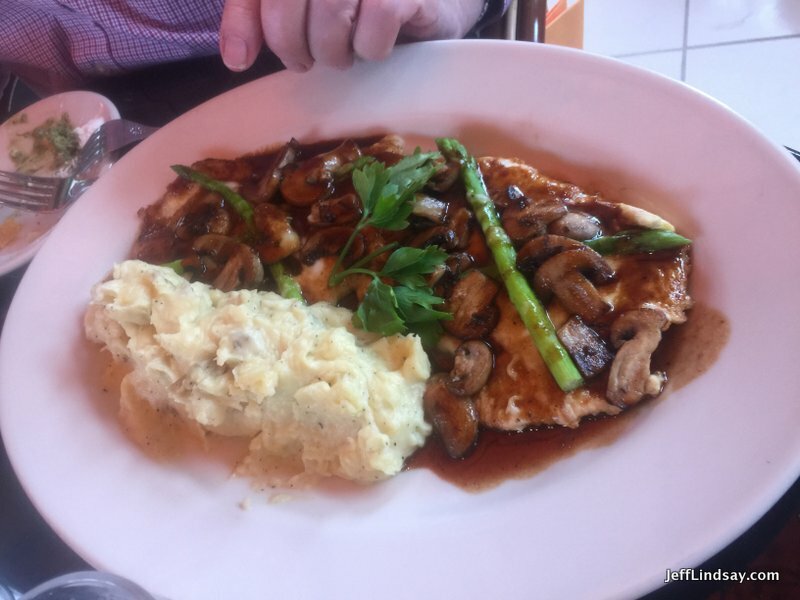 The chicken was cold, boring, plain whole chicken whacked into boney pieces. 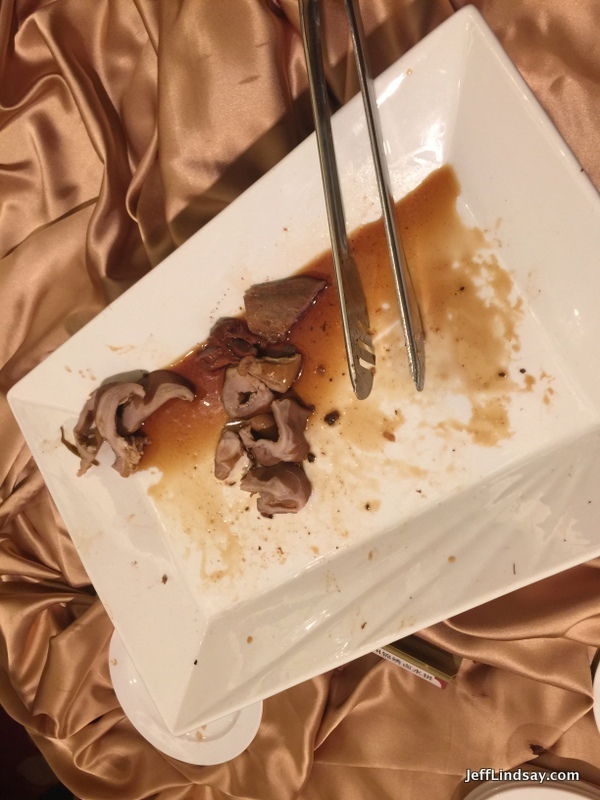 There was flavorless beef and broccoli, cold. The crab was perhaps the highlight for appearance but there was so little edible meat that it did little to abate hunger. Some fried rice. A salad that was often empty. Tasteless cheap little fluffy cake pastries for desert. Lukewarm Sprite or Coke as the only beverages. 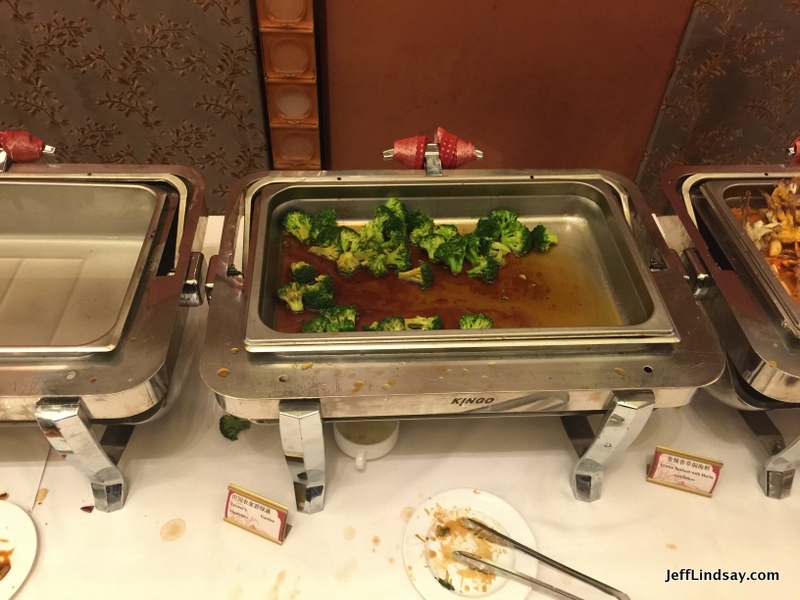 There was a tray of smoked salmon, enough to serve about 10 or 12 people per refill, that was usually empty. 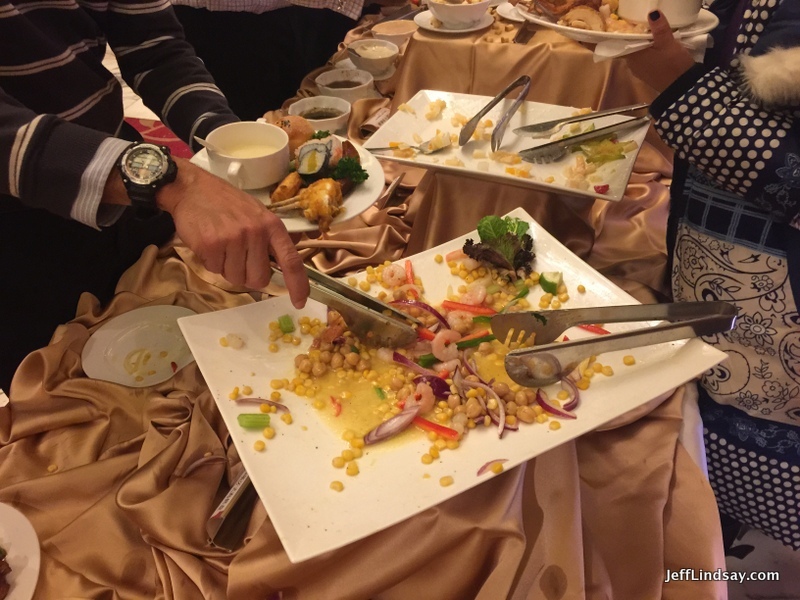 Some cold shrimp (tender, though) and corn was provided as a salad. That dish was OK, but overall it was something of a miserable meal, given the fact that we knew we were being poorly treated, even ripped off, and that for the same price or less we should have been able to eat a great meal below. Sigh. 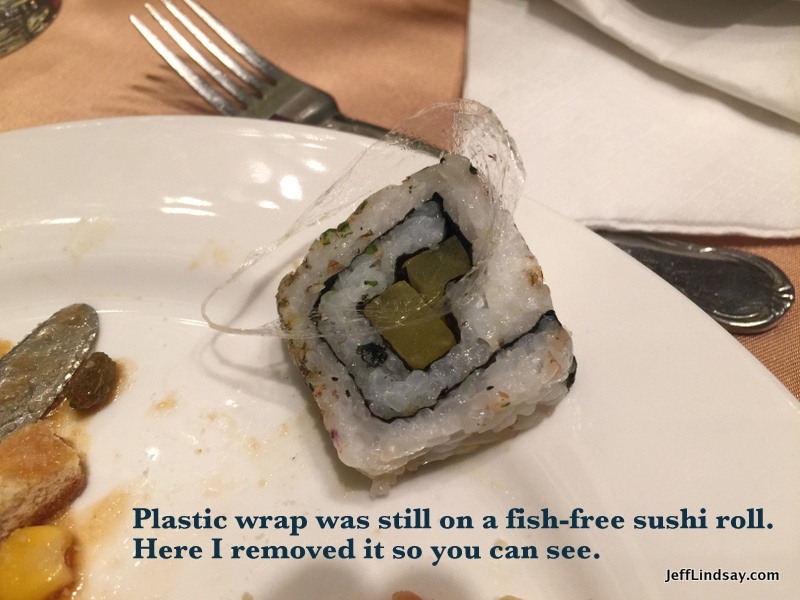 There were also some “sushi rolls” that were just rice and radish or other veggies. These sliced rolls came with a safety problem: some were still wrapped in thin cellophane that guests would ingest if they didn’t notice and peel it off before eating their slice. After someone on my table apparently ate one, I pointed this potential danger out to a worker, who blew me off by saying that the plastic was necessary to prepare the sushi. There was not an attitude of serving the customer that night! I went to someone more senior an explained the problem again in great detail, asking repeatedly to make sure he understood that yes, this was a safety issue and should be resolved. Nothing happened for a while, but later I did see that the rolls they brought had the plastic off. I feel that they really took advantage of our group. If that is their attitude toward customers, I won’t be back. A friend of mine in Shanghai just had 9000 RMB (US$1500) stolen from his Korean bank account by somebody using his ATM card number in Poland. His bank is unsympathetic. They claim that he must have given his card or PIN number to somebody and that is how they took the money out. But he never gave it to anyone, though someone may have rigged an ATM machine to read his info. Your ATM card is a disaster waiting to happen. If someone gets your number and your PIN, by theft or guesswork, you may have no recourse. You must limit the use of your card to avoid having thieves scan it and not keep too much money in any account that can be stolen using an ATM card. Whenever you use your card with a retailer, there is a chance that the retailer is keeping your PIN, perhaps inadvertently, and this PIN can then be hacked and sold to thieves. See the 2006 story from NBC News which explains some of the basic threats. The more you use your card, the greater your risk. The more money in your account, the greater your risk. Keep some of your money in accounts that cannot be accessed with an ATM card using the terribly inadequate 4-digit PIN security system. Surprisingly, money may be swiped from your account using your ATM card number even if the thieves don’t know your PIN number. Sound impossible? Our experience proves otherwise. Recently someone in Germany started pulling about $300 a day out of our US bank account using our ATM card number from our US bank. This is a card we rarely use–I think we have never used it China but did use it on our trip to Italy in February 2014. the thieves struck in May 2014. They took the most they could each day for 3 days in a row before I happened to check my online bank account and notice the unexpected withdrawals. It was very fortunate that I noticed this right away instead of after our account was drained dry. Amazingly, there was no anti-fraud alert to the surprise bleeding that was underway. Bet they could have taken everything if I hadn’t noticed. I immediately called the bank and they inactivated the card. Whether I would get the money back or not depended on one thing: did the thieves use my PIN number when making the withdrawals? If they had, then the money would be lost forever. No recourse. But because the bank in Germany that dispensed the money was not able to provide proof that the PIN had been used, my bank ruled in my favor and refunded the money. How the thieves got money out of my account without my PIN was never explained. But it did happen, so it seems, and that means it can happen–to you! Check your account often for fraudulent charges. Use your card as little as possible. Don’t use it in shady locations–whatever that means. Assume every operation is shady and vulnerable. Guard your PIN zealously and watch for unusual attachments to ATM machines, and realize that people may be watching the keys you push, so cover the keypad and use false moves as well. On the other hand, when PINs are just 4 characters long, someone could simply guess the PIN after enough tries with enough cards (several tries each on a thousand or more cards) and then they have a money machine. The chances of someone guessing your PIN on the first try are just 1/10,000. After 10 tries, though, it’s 1/1000. How many people have been trying to guess your PIN? 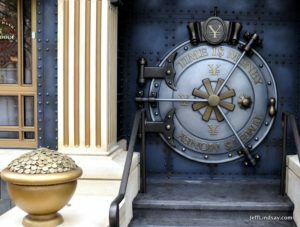 Does your bank every tell you? Probably not. Your card might get inactivated with lots of bad guessing–a huge inconvenience, but better than losing everything. Check with your bank and understand their anti-fraud systems and what recourses you have to fraudulent withdrawals. Remember, you are just 4 numbers away from disaster, and those numbers can be stolen or possibly even guessed. We recently upgraded our Internet service to the fastest available: 100 Mbps service for 248 RMB a month. Even with that high speed, we noticed that accessing foreign websites was still painfully slow and unreliable. When we turned on ExpressVPN, our generally good VPN service, the speed was even worse and was essentially blocked, or so it seemed on many days. Then I learned about China Telecom’s VIP service for foreign websites. This service costs an extra 50 RMB per month and gives you “more stable” access to websites in the US, Japan, Europe, and Hong Kong. Desperate. we tried it, and it has made a huge difference. Foreign websites now upload much faster. We still need VPN for sites like Facebook, but that also seems much faster than before. To change your service, you need to be on their monthly billing plan. We were on a prepaid plan, having prepaid for a year, so we needed to make a change. How we got on their strange prepaid system is a long story of itself: someone in our real-estate agent’s company handled this and possibly tried to rip-us off, paying for the lowest-speed service instead of the highest and pocketing the money. Only we caught the “mistake” and insisted on correcting did the upgrade happen, and then they only prepared for one month and possibly tried to pocket the difference again. We finally got all or nearly all of the money we had given to show up in our Telecom account. Don’t let intermediaries do this for you! Our mistake. To switch to monthly billing, you would think it should just take a phone call and the flip of a digital switch. Nope. I had to go a special office in person–not the closest one, but one that is authorized to handle the VIP account. 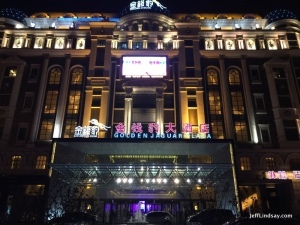 That office is at 500 Jiangsu Road, close Yan An Road. It’s inside an electronic store on the second floor. Right next to the escalator is a round desk with an English speaking young man working there, and he was great. To get the VIP account, I had to cancel my entire previous account and have a new line installed. That meant a big service fee or getting a year-long plan. Since I heard that 50 Mbps with the VIP service was better than 100 Mbps without, I accepted a special deal they had on 50 Mbps (no similar deal for the 100 Mbps unless I would take a two-year plan). So now I’m paying about 150 a month plus 50 for the VIP service, less than the 289 a month I was paying for the 100 Mbps service. They had to come and install a new line and put in a new cable modem. But the new service with VIP magic is definitely better. Finally, we can use the Internet, even in the evening, and access foreign websites with acceptable speed. We even were able to watch a movie on Netflix. Wow, it’s a new world for us here in China. We had 1100 in our account that was closed. To get a refund, we had to take our old modem back in with my passport and apply for a refund. The same guy was very helpful. They will call us in a few days when I can come in and get my cash. They cannot just put the money into my account. That, I’m afraid, would be far too easy. But overall, the process wasn’t bad and I’m delighted with the mysterious yet effective VIP service. 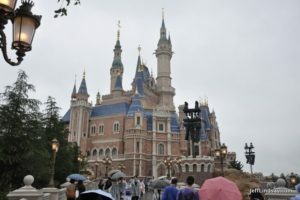 Some folks at ShanghaiExpat.com discuss this as “GFW-free” service. No, it is not free of the Great Firewall. VPN is still needed if you want to access things like Netflix or Facebook. But you might have much better results, I think, than you are getting now. If you are about to abandon hope because of slow Internet in China, try the VIP service from China Telecom.